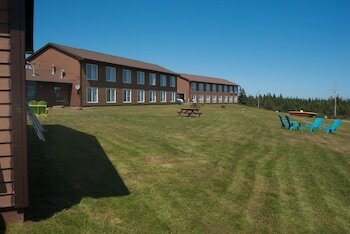 When you stay at Brier Island Lodge in Westport, you'll be near the beach and 7 minutes by car from Peter Island Lighthouse. The front desk is staffed during limited hours. Free self parking is available onsite. When you stay at Gite des Lilas in Caplan, you'll be 12 minutes by car from Gaspesian British Heritage Village. Free self parking is available onsite.